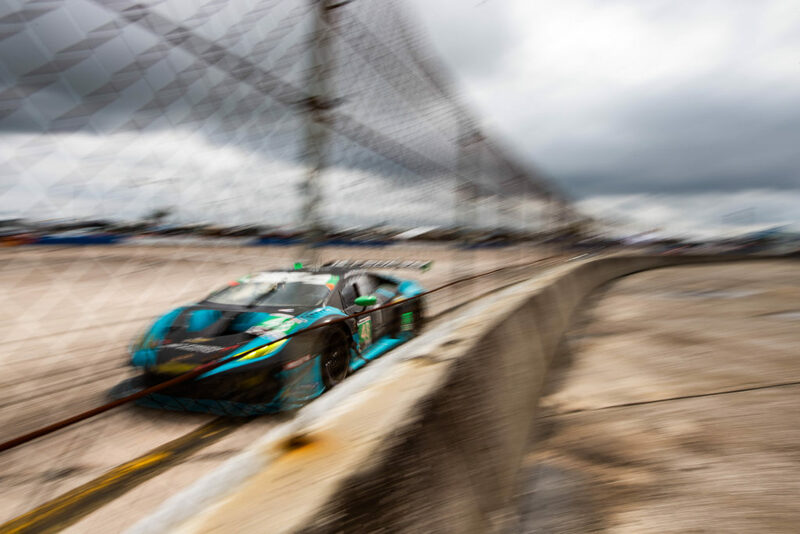 Paul Miller racing used the latter half of today’s 12 Hours of Sebring as a valuable test and development session after encountering clutch issues in the first half of the race. 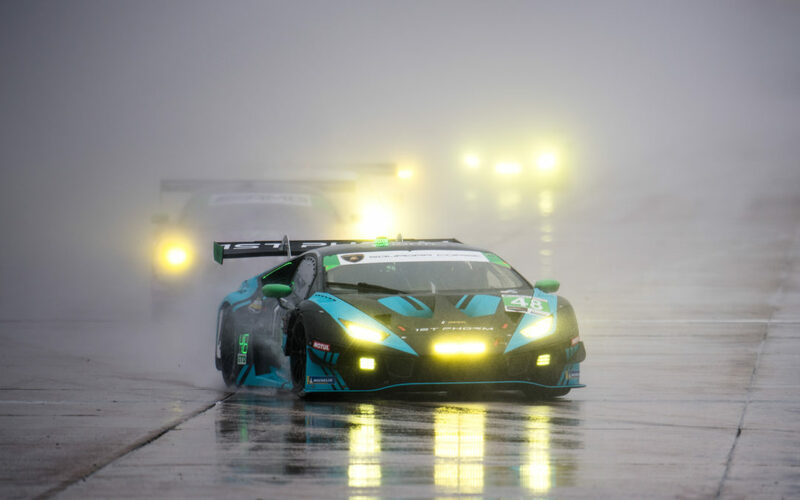 The 67th running of the12-Hours of Sebring started in heavy rain under yellow flag conditions with IMSA WeatherTech SportsCar Championship rookie Ryan Hardwick at the wheel of the 1st Phorm Lamborghini Huracán GT3 EVO. The first 40 minutes were run under caution, and Hardwick eventually turned in a marathon three-hour, 10-minute stint aboard the No. 48 entry before handing over to Bryan Sellers. However, early in Sellers’ stint, he began to experience clutch issues. These would plague the team with several trips to pit lane and back to the garage, through Sellers and Corey Lewis’ first stints. Six hours into the race the Paul Miller Racing team decided to change the transmission. 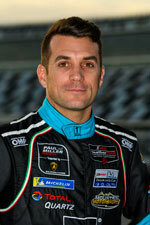 After an extended time in the garage, the #48 Lamborghini returned to the track with Sellers back behind the wheel. The team used the remaining race time as a test and development session for the car and to complete Sellers’ minimum drive time to be eligible for championship points. “We had more problems today then we had all last season, and we’re all just trying to figure out what happened,” Paul Miller Racing team founder, Paul Miller, said. “We hope we are through our rough spot in the season and we can bounce back when we get to Mid-Ohio. Ryan, Corey, and Bryan did a great job driving the car, we had a very fast race car today, and the crew worked incredibly hard to get back on track. “Days like this are tough to swallow because we had a really good test in preparation for this weekend and we had a great race car. “We had a mechanical gremlin we’ve never seen before – that is frustrating considering how strong the other Lamborghinis were and we could have been right there with them. “You have to take days like today and learn from them and develop. For us, the next step will be to fix the issues we had and going forward know we had enough speed to compete. 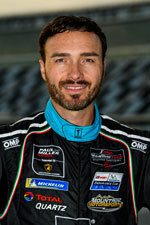 “I did a triple stint at the start and I was really ready to get out of the car after three hours. “We really felt prepared here and thought we had the speed. I felt good and Corey and Bryan had amazing pace. “We just had some gremlins that we didn’t get past. I’m looking forward to the rest of the year and showing our true pace. 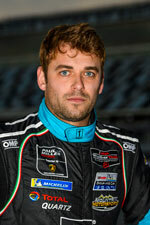 “I had never been in the car for the final stint at the 12 Hours of Sebring so that was something new for me. “I’m proud of the guys – they never give up and that is what makes me proud of this group of individuals at Paul Miller Racing. “It was a tough day but it just wasn’t in our cards. “That final stint was just about staying out of everyone’s way and making it to the finish – that was our main objective.